Sized 4 - 14 yr. 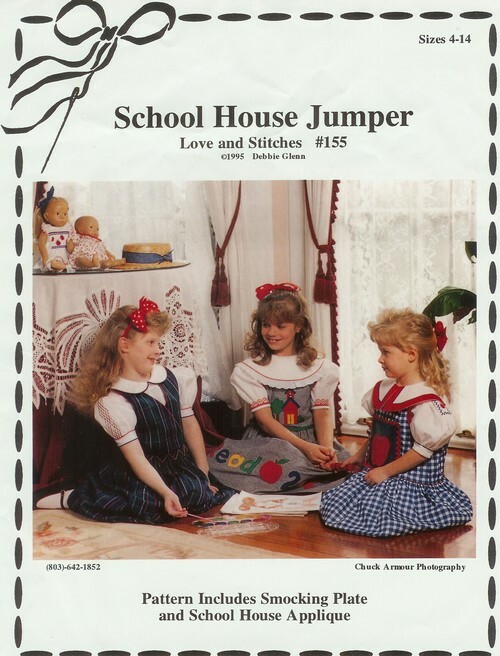 Loose pullover jumper w/3 bodice variations, gathered or smocked skirt. Jumper is perfect for a variety of embellishment. Quick and easy construction, no zipper, placket or buttons. Clear step-by-step illustrated instructions. Smocking & applique tips included.